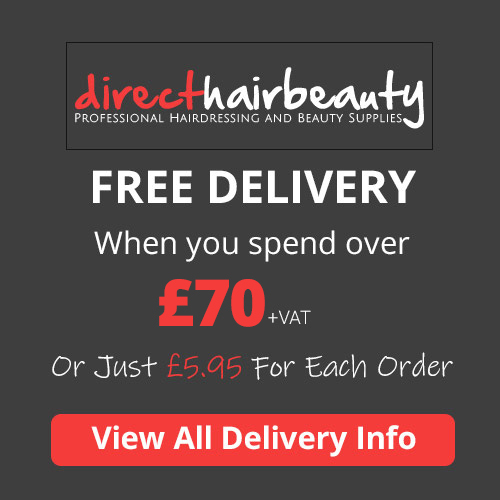 View our full range of hairdressing accessories, including clips, pins & grips, hair padding & bunrolls, watersprays, rollers and hair elastics. Everything you need to make your kitbag complete! AirMotion Brush is a lightweight brush to easily detangle and smooth hair without pulling or s..
Flairosol Black And White Fine Mist Water Hair Dressers Salon Barbers Spray Bottle Mi.. Hair Tools Special Water Spray 250ml Clear grey plastic bottle. For use in hairdressing sal.. The Hair Tools water spray bottles are made from tough aluminium that'll stand up to the knock..
Head Jog Butterfly Clamps from Hair Tools come in large sizes and have a strong spring to ensure dur..
Head Jog Mane Tamer Detangling Brush is an ergonomically designed professional detangling brush. .. This Black Solid Perm Rod comes in a pack of 12 and is 19.2mm x 80mm in size. Also available i.. This Blue Solid Perm Rod comes in a pack of 12 and is 13mm x 80mm in size. Also available in o.. This Green Solid Perm Rod comes in a pack of 12 and is 8.5mm x 80mm in size. Also available in.. This Grey Solid Perm Rod from Hairtools comes in a pack of 12 and is 16.5mm x 80mm in size. Also ava.. This Orange and Red Solid Perm Rod comes in a pack of 12 and is 12mm x 80mm in size. Also available ..